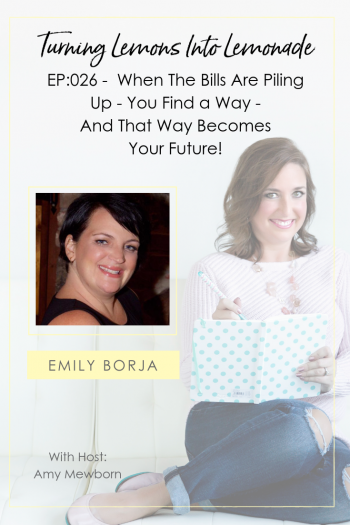 Emily Borja is an American Sign Language interpreter and a successful entrepreneur. She helps women look at their situations as an opportunity to advance their personal and professional development. When her husband was hit with a cancer, she was completely unprepared. Months later she was presented with the opportunity to open a virtual business. Broke and exhausted, she silenced her fear and took a leap of faith. Emily candidly shares her story of how she became the CEO of her own company while juggling a full time job, a chemotherapy schedule, and potty training. Emily is a single mom of two raising her children in Redwood City, California. Free thirty minute consult for anyone interested in starting their own micro-franchise with Emily!